I would guess that about 7 of 10 of you Cloud Surfing Parents could really use a nice cup of joe when traveling with your kids. Am I right? This was a nice Dunkin Donuts stand located right in JFK baggage claim. 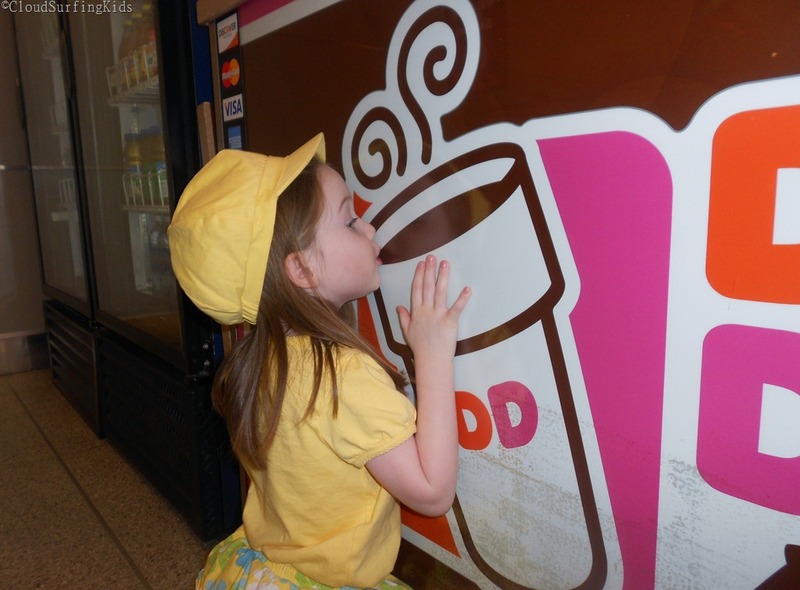 Ella saw the big cup and went over for a “sip”. Pretty funny. *This post is part of the Photo Friday fun at DeliciousBaby.com.